A previous post extolling the value of greens on root vegetables prompted contributor Anthony Boutard of Ayers Creek Farm to pen this (gentle) scolding. Message received, sir. As a traditionally schooled market farmer—my father grew and delivered vegetables to the great Covent Garden Market all through the Battle of Britain and regaled his children with lore of the old market and its vendors—I was amused to see you perpetuating the “leave the tops on root vegetables” myth. This practice leads to a decline in the root’s quality, flavor and texture, even in short-term storage. The reason is biological. When plants are out of the sunlight, they must still keep the leaf blade tissues alive, which requires energy and moisture. Maintaining the tops in the absence of sunlight means that sugars and nutrients are moved from the root to support the leaves, and water as well, as part of the respiration process. In fact, the leaves will pump out more moisture through respiration than a severed stem, that’s their job. That is why celery is stored with its leaves trimmed, leaving just the stalks, assuring a longer storage life. The roots with their herbage attached may “look fresher” but the leaves are actually consuming the root before you do. Flavor and texture of the roots are determined by tasting a sample, not beholding the pretty greens. 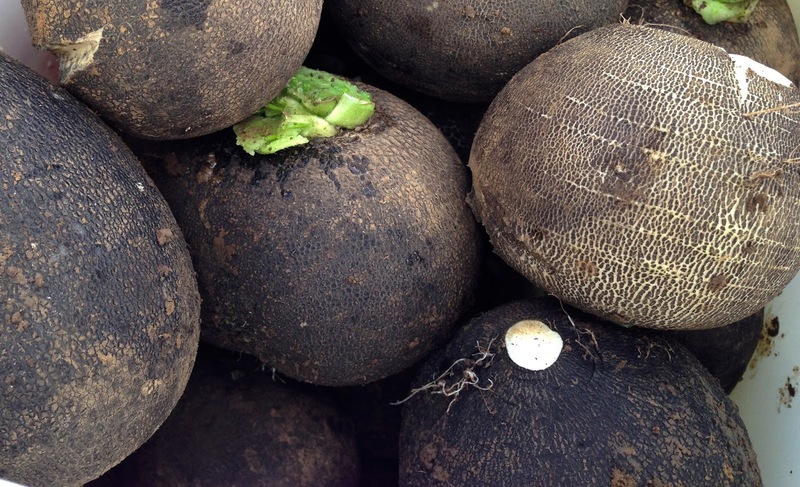 Bear in mind variety and culture are the most important determinants of quality, and many roots actually develop their flavors in storage, belying the notion that a “fresh" root is the better vegetable. Roots harvested after the frost will taste sweeter. Varieties with rattiest looking greens in the field can have spectacular flavor; there is no correlation between "fresh looking" leaves of the plant and the quality of its root. Verdant greens on a carrot may be an indicator of over-use of nitrogen rather than a healthy plant per se. Traditional gardeners and farmers knew this fact going back at least to Pliny, based on simple observation even in the absence of a firm grasp of the biological processes involved. The discerning vendors at Covent Garden would have summarily rejected Cecil’s roots if they were delivered with a messy bunch of useless herbage attached. For historical perspective, the Baroque still life painter Juan Sanchez Cotán, and the market scenes of Pieter Aertsen (top illustration) and Joachim Beuckelaer from the 16th century, show the root vegetables properly trimmed to a short stalk. They were painting from life and felt no compunction to pretty up the roots with lush greens. At market, we always sold our roots with tops trimmed to 1/2”, or about 14mm, of stalk. No one ever complained about freshness and in cool weather the roots stored nicely on the back stoop for weeks. The notorious “woody core” only results when the top of the root is removed. This leads to desiccation of the root’s core. A hard trim is often used for parsnips because the sap in the tops causes a nasty rash when the skin is exposed to sunlight (phytophotodermititus). To avoid any risk, some farmers trim them back too hard. For the customer the sap isn’t a problem because it dries and seals the stalk. 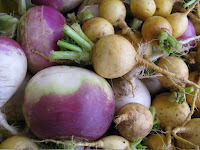 The other vegetable commonly cut back to the root is the rutabaga because the tops rot and have an awful stench. 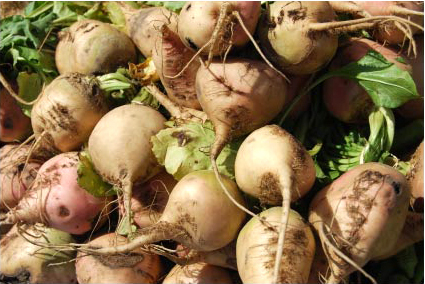 To keep rutabagas from drying out, they are often coated in wax. Regarding the value of the greens attached to the root, this is another glorious bit of 21st century goofiness. The greens associated with roots are just not in the same league, from a culinary or nutritional perspective, as those of the same vegetables bred for their greens. The development of a bifurcated vegetable selection, for example, knob celery and pascal celery, beet and chard, turnip and rapa/raab, rutabaga and cabbage, root chicory and heading chicory, root parsley and leaf parsley, Florence fennel and non-bulbing fennel, are a testament to this understanding extending back millennia. I always think its funny when people think they have discovered something that was missed in 3,000 years of food development and breeding that have formed the vegetable selection we enjoy today. And regarding all the scolding about food waste that has proliferated of late in the food press, the best practice is to field trim the roots and leave the tops for nature. They belong in the farmer’s field where they continue to provide food and shelter. The superfluous greens and stems are only wasted if they are removed from the farm. Our daughter wryly notes that serving up the greens from root vegetables is the culinary equivalent of wearing a hair shirt to display virtue. She cringes when friends proclaim they are serving greens that would otherwise have gone into the compost. Many years ago I noted the importance of leaving excess crops in the field where they are valuable as a supplement to a cover crop. [See Ayersini's translation of Carolystra and Antonocoles, from the respected Gastonian Folio. - KAB] There are real issues of food waste, but serving greens best left in the field is a hollow virtue. A good green grocer should be trusted enough that the flashy and ill-advised show of “toppery" is unnecessary. It is, in fact, even a bit déclassé, dare I say. Incidentally, the restaurants always thank us for the careful job we do trimming our roots and fennel. Chefs are happy to glean value from a delivery, but they hate paying for and disposing of compostable herbage that should have been left at the farm. The custom of displaying roots and bulbs with their tops has become entrenched in the last 20 years or so as an aesthetic gesture, probably an artifact of the proliferation of famers’ markets, but it runs counter to science with respect to food quality. 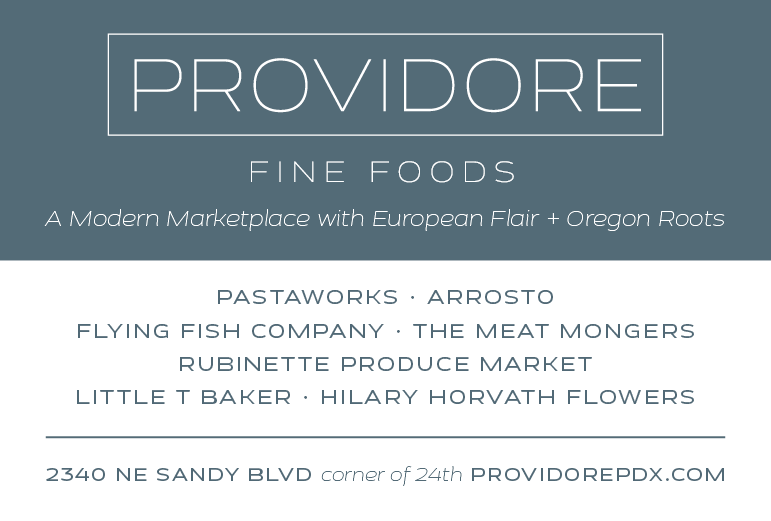 Someday, perhaps, the scientifically validated wisdom of my father and the vendors he sold to at Covent Garden, and Aertsen's women of the Flemish vegetable markets carefully tending their goods, will return. Thanks for the comment, Elisha! Mr. Boutard has helped many of us learn so much, hasn't he? An option for those of us who actually like the greens (beets, turnips, etc.) is to whack them off when we get them home and store them separately.